We're a software services company specializing in web and mobile applications. We take a partner-oriented approach to designing, building and deploying beautiful, user-focused applications. We use appropriate, modern software architectures to give our clients a competitive edge and position them for growth and extensibility. Scout was a sophisticated personalized content recommendation system. It was deployed on publishers such as the Toronto Star, Chronicle Herald, and the Charlotte Observer. It delivered personalized content recommendations to readers based on reading habits and personal taste. Over about a year and a half, Scout delivered more than 35 million recommendations and increased publisher page views by as much as 7%. Shweet.com was a social gaming website. 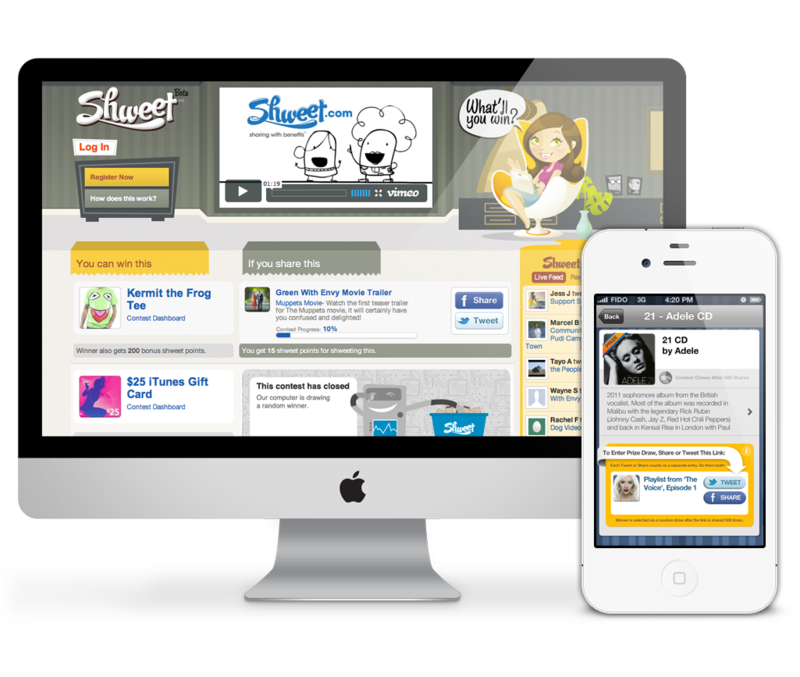 It incentivized people to share the links posted on Shweet.com. Every time a user shared or tweeted a link ('shweet'ed, got it? ), they were entered into a contest with a specific prize. Once that link had reached its sharing limit, the contest was closed and a winner was randomly drawn from the pool of people who shared that link. Book Blast was a product recommendation app that used a user's Facebook activity to recommend products that matched their interests. 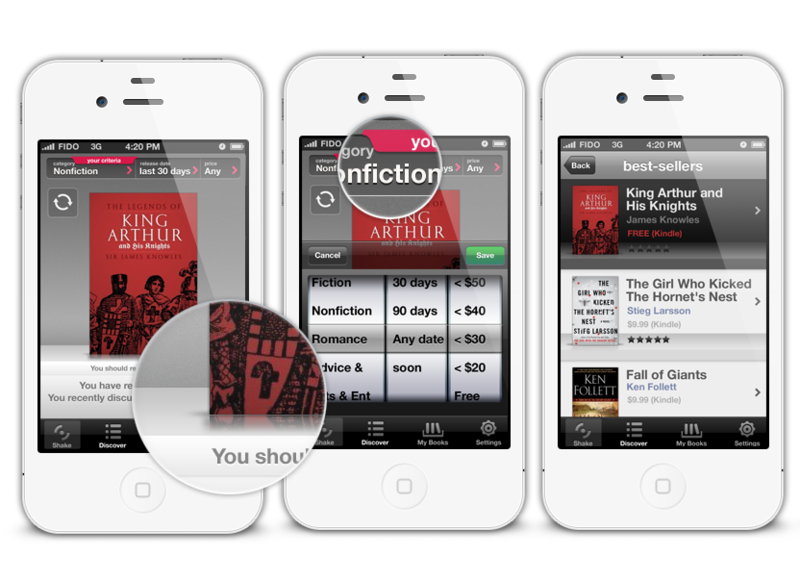 The screenshots show a book recommendation app that was designed to use the Scout Shopper technology. We’re looking for a Rails developer who may not have the most experience yet, but is eager to learn a wide variety of new skills while helping to build and operate interesting web and mobile apps for our clients. You’ll have an opportunity to learn directly from experienced software professional and develop new skills such as cloud hosting, iOS, Android, Node.js, Backbone.js and other modern software technologies. Full-time, part-time, salary or contract. For the right person, we can be flexible. You need to be able to work from home, but can also work on-site with our clients if you prefer. An accomplished ability in some object-oriented, server-based web framework. A working knowledge of relational databases and SQL.